Earlier this week, Meghan, Duchess of Sussex took part in her very first, solo royal engagement, without her husband Prince Harry by her side. Beforehand, the Duchess had only taken part in duties alongside Harry, or other members of the royal family. But when Meghan headed to the Royal Academy on Wednesday for an Oceania exhibition, she was flying solo – on a year to the day that she and Harry made their very first public appearance together. And far from being nervous or anxious about her first engagement alone, author and body language analyst Judi James revealed that working alone marked the return of ‘Hollywood Meghan’ – completely in her comfort zone. Judi revealed to Woman & Home online, “It’s clear from these poses that Meghan was completely within her comfort zone at her first individual appearance as a royal. However, Judi noted that earlier this year, Meghan’s confidence was knocked slightly, as she got used to the rules of her new public life. But on Meghan’s individual appearance, Judi stated that she was back to the ‘Hollywood Meghan’ known before her days as a royal – opening herself up to the camera and exhibiting very few signs of nerves. Judi said, “Working alone though we can see the return of the Hollywood Meghan with some self-effacing gestures to ensure she still looks accessible. Her wave to the press is more red carpet than royal, with a backward bend of the hand and a direct eye gaze and smile that would create rapport via these tie-signs. 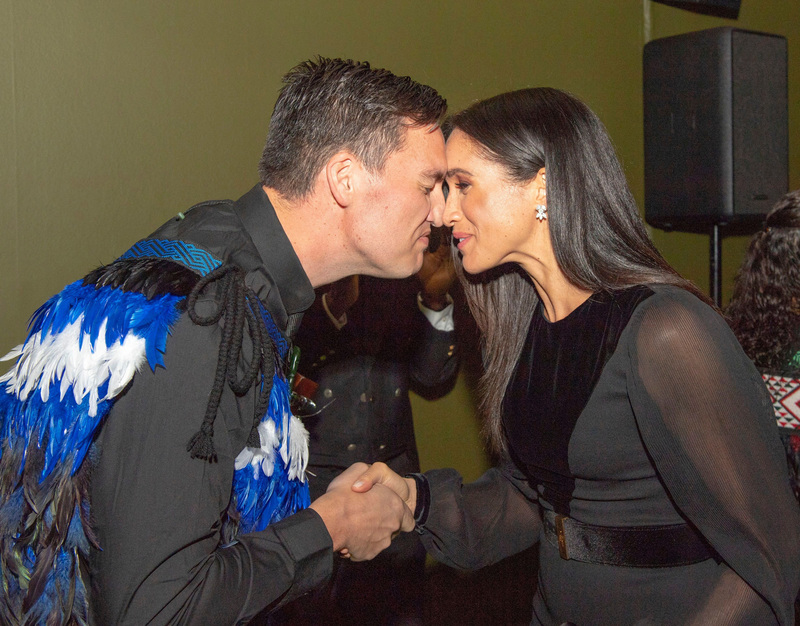 Body language expert Judi also revealed that Meghan was very comfortable taking part in the traditional Maori greeting of nose-rubbing – showing a genuine interest in the culture behind it. “Meghan is also using an immersive approach to her appearances. She engages hosts in intense conversations and seems genuinely interested in their causes. Judi also noted that Meghan actually appears to function at her best when working solo – and seems far more comfortable than her sister-in-law Catherine ever did at the beginning of her royal lfe.